Hopefully you grabbed the great President Lapbooks from both Jen and I last week! These were limited time freebies and are both expired now. Remember that we are changing things up this year so we are only posting our FreeBEE posts the first two Fridays each month. The first Friday of every month, we will be providing a link and a savings code for you to get a FREE product from some of our favorite homeschool companies. These great sponsors are offering these *Limited Time FreeBEEs* of lapbooks, unit studies, online classes, and more to bless homeschool families (you the reader)! The second Friday of every month we will have our Homeschool FreeBEE Friday Link Up. So our favorite bloggers can link up their FreeBEE posts! This link up will be open through the rest of the month...so instead of a weekly meme this will be monthly, now. Well we are continuing our Marine Mammal unit study so I don't have a new one for you this week but I do have lots of other great FreeBEE resources to share that will assist you with teaching your children about Black History, Presidents Day and Valentines Day. March is Black History month. There is so much to be learned from the great men and women who contributed to Americas history. Be sure to check out my Martin Luther King resources from last month as well as our Top 10 Favorite Black History books. -Rosa Parks mini unit from Teachers Pay Teachers. 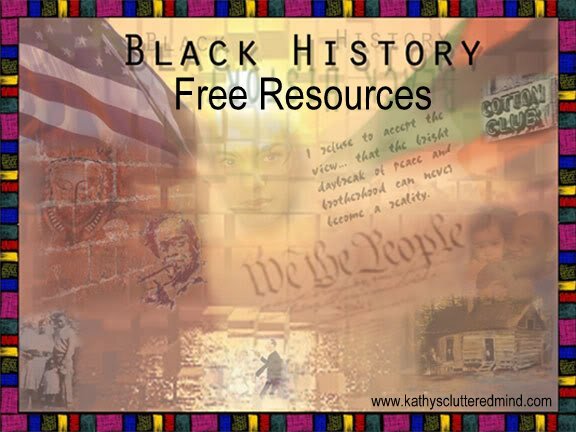 -ABC Teach has several FREE worksheets for Black History Month. -PBS has about 30 FREE shows you can watch about black history. -Great resources to go with the book Mr. Lincoln's Way. -FREE Kindle eBook - Harriet Tubman The Moses of Her People. -Lots of FREE Black History printables. -Black History super activity pack on CurrClick - NOT free but only 50 cents right now. -This MLK Express Lapbook from A Journey Through Learning is also not free but it's only $1.00 and actually a resource we are using for MLK day. -Toys R Us Valentine activity pack. -Preschool Valentines Day coloring matching activity from Learning Little Lovies. -Sweet number stories Valentine math from Teachers Pay Teachers. -Mama's Learning Corner has a great Valentines printable worksheet packet. -There are lots of great resources on Busy Teachers Cafe for Valentines Day as well as Black History. -Simple Schooling Valentines Day Activity Book on CurrClick. -Chocolate lapbook perfect for Valentines Day from Homeschool Share. -Cute Valentines Day song and craft on Kidoomu. -Enchanted Homeschooling Mom has a great Valentines Day Emergent Reader. -FREE Valentine Audio books from Sparkle Stories. -3 Dinosaurs has a great Valentines Pack. 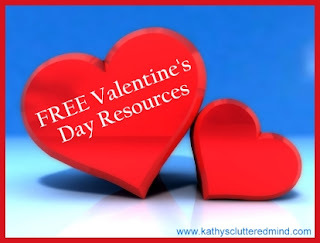 -Valentines Math Freebie adding 10. Presidents Day is the perfect opportunity to teach our children about some of the brave, amazing men who have helped transform out country into what it is today. 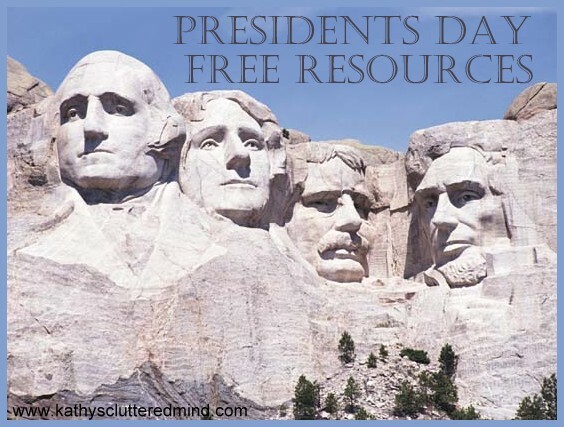 -Founders Academy is offering a FREE Live Presidents Day class - And for ONLY $2.00 you can also snag the accompanying A Journey Through Learning Presidents Day lapbook. Founders Academy also has Abraham Lincoln and Tuskegee Airmen classes this month but those are not free. -My friend at Moms Mustard Seeds has a fabulous Presidents Day Notebooking Page. -Presidents Day holiday helper on CurrClick. -Four Famous Americans Audio on CurrClick. -Enchanted Homeschooling Mom has a great Presidents Day Emergent Reader. Be sure to check out my post from last month for FREE Chinese New Year Resources. Don't forget to link up your post too! : ) I already pinned it to the CoOp for you. Love these Friday posts! Thanks for all the great resources.